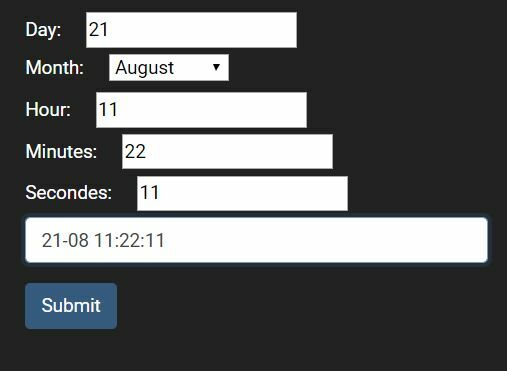 You can add date events to the calendar by using an AJAX GET request. The response has to return a JSON encoded array of events in a specified format. Use a Bootstrap JS modal window. 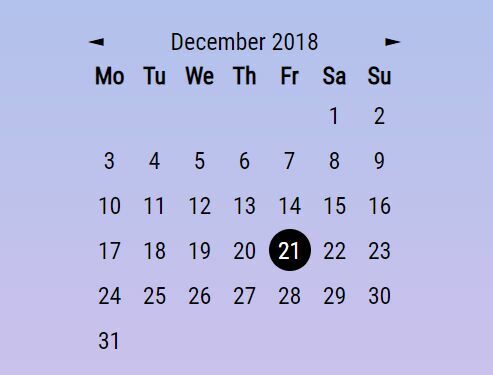 The information will be shown with a click on the day of the event. 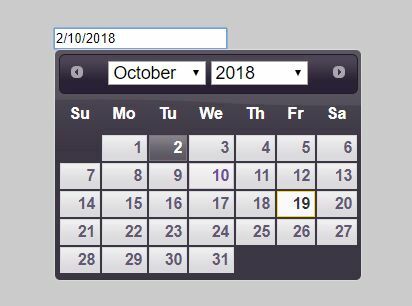 You can add a legend to clarify the styling of the date events shown on the calendar. The calendar supports these language codes: de (German), en, es (Spanish), fr (French), nl (Dutch). 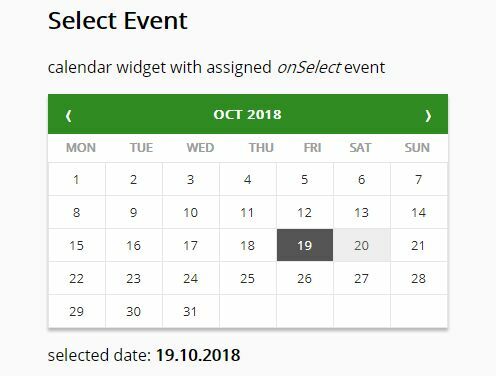 You can add a function to the calendar to execute when the onclick event is triggered on a specific day. 2. Include required Twitter's Bootstrap 3 Framework on your web page. 3. 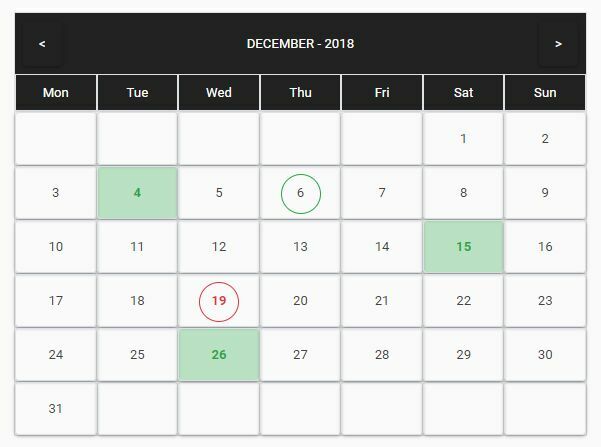 Include jQuery Zabuto Calendar Plugin files on your web page, after jQuery library. 4. 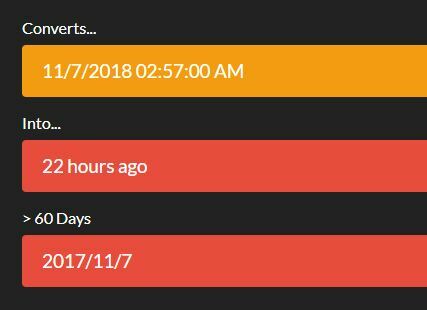 Create a container where you want to place your calendar. Removed randomized id, W3C-WAI level A compliant, changed month header style. Added new languages: Chinese, Czech, Slovak. Changed Hungarian support. Added (Brazilian) Portuguese language support. 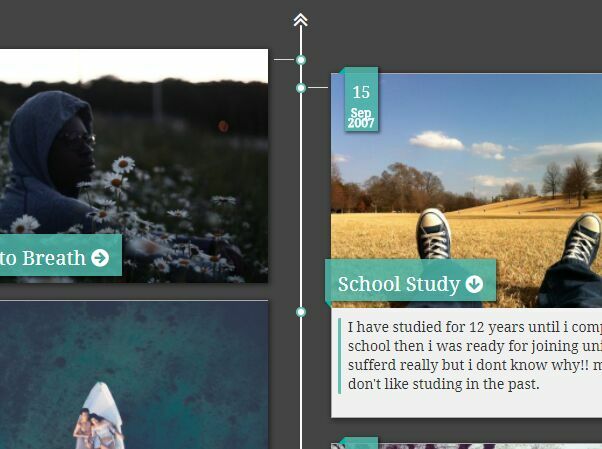 This awesome jQuery plugin is developed by zabuto. For more Advanced Usages, please check the demo page or visit the official website.